Greek Yogurt Sales Rise In U.S. Dairy Aisles The growing popularity of the thick and tangy dairy product is changing consumer tastes and the yogurt industry. 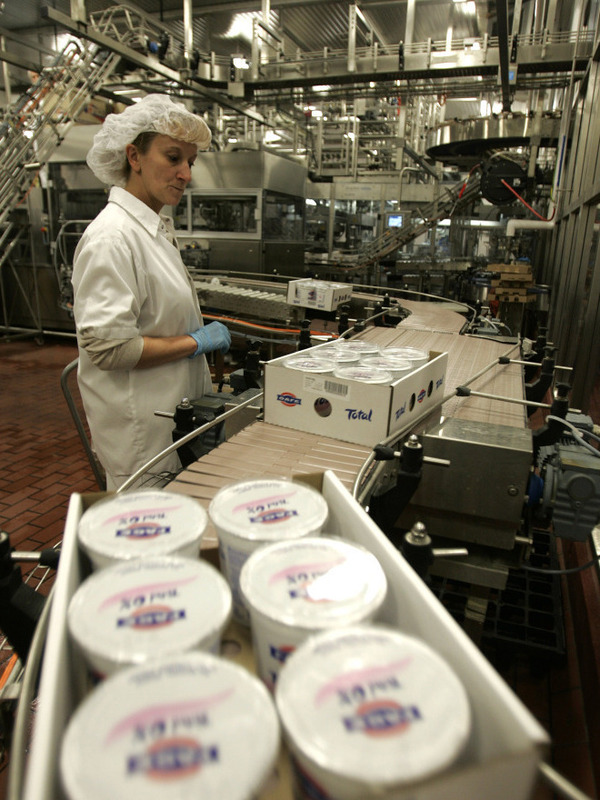 Food industry analysts predict Greek yogurt sales will reach $1.5 billion this year. A worker monitors the production line as cases of Fage yogurt are produced in Johnstown, N.Y., in 2008. Fage and Chobani lead the pack of best-selling Greek-style yogurt brands. When you think about it, it is not easy to get protein in a convenient form. And then if you raise the bar further and say, high-protein, low-fat, convenient, and tastes great — wow! That might make this a perfect food.